Beautiful second home which we use as a retreat to get away from it all. 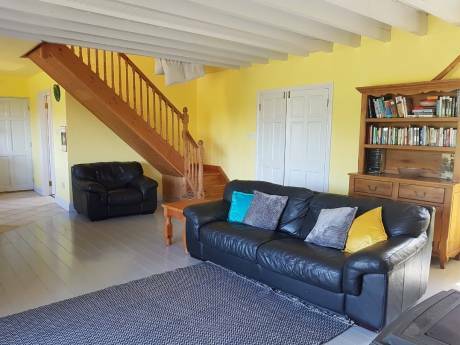 It has fantastic seaviews which include Mount Brandon sweeping across to Fenit Lighthouse and on into the town of Tralee. The Open plan nature of the living areas of the house make you smile no matter what kind of day you have had! The house is on an elevated site with gardens that vary from newly landscaped to wild meadows with plenty of opportunities for children to exercise their imagination. The bright airey living areas have been specifically designed to make maximum use of the sun rising at the back of the house in the East and setting at the front in the West. There is no better way to spend an evening than to sit out on the deck with a glass of wine watching the spectacular sunsets that the Southwest is world reknowned for. We are Neil, Terri, Megan, Aaran and Cian. We live a busy lifestyle and enjoy various forms of outdoor activities in our leisure time. We have lived in both the USA and England for over a decade and like to travel at every opportunity. 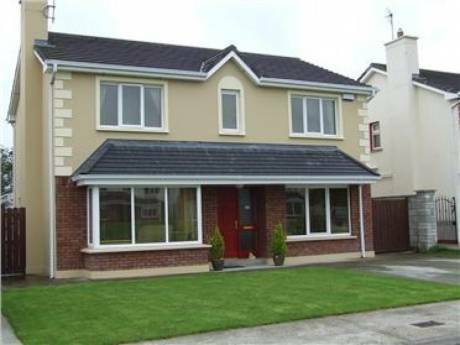 We have never done a house exchange but are familar with the concept of renting as we go to a rented house on an island off Ireland and have done for the past six years. We hope to provide a house for a vibrant get up and go family because the area where it is located will force any family to get out and participate in the surroundings. Likewise when we go away we embrace the culture of the country and spend a large amount of time exploring and sampling the traditions and sights of the locations we find ourselves in. We hope this brief overview gives you a feel of a perfectly normal twenty first century Irish family looking forward to spending two weeks discovering your beautiful neighbourhood. Our area, known as Camp, is located on the Dingle Penninsula and is half way between the towns of Dingle and Tralee on the coast road. For all those familiar with Windsurfing/Surfing the area has hosted World championships and provides brilliant opportunities to watch if your not into getting wet! 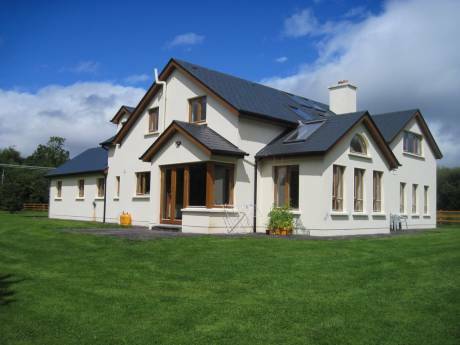 If you love hillwalking our house is located right on the Dingle way and has the beautiful Slieve Mish mountains right at the back of the house which culminates at the Conor Pass, Irelands highest pass. The area is also great for Ceol agus Craic which means plenty of opportunities for Irish traditional music session. The beaches are breathtaking and include the longest beaches in Ireland-incredible. You definately won't have to have your towel there first thing in the morning!